Our friend Tyler Larson of the podcast and Youtube channel, Music Is Win featured the Ventris Dual Reverb in this epic tune. Be sure to listen with headphones, the combination of Tyler's stereo John Petrucci Signature 7-string guitar and the Ventris makes this one WIDE - we're talking a massive stereo split. There are some great E-Dome sounds in here as well as a super ambient Shimmer and Room dual reverb effect. 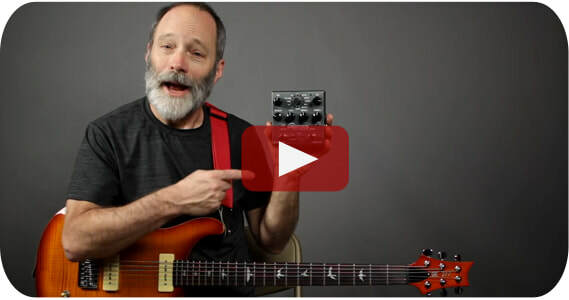 Our friend Bill Vencil (a.k.a "Chords of Orion") created an outstanding ambient guitar video with the Ventris. 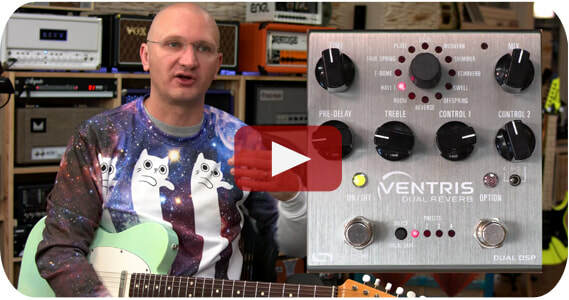 Our old friend Henning Pauly is not intimidated by technology, watch him go deep into the tone and function of Ventris. 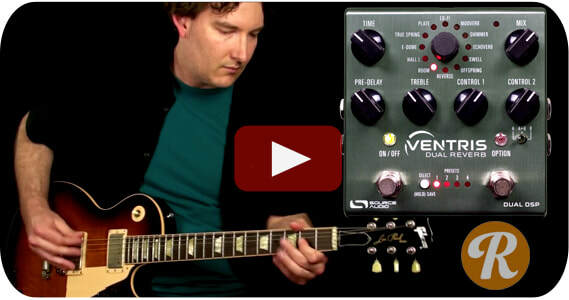 Andy at Reverb.com demonstrates the classic tones of the Ventris's TRUE SPRING engine as well as the non-traditional sounds of the OFFSPRING.